Coastal flooding during storms has been a recurring issue along the Minas Shore, putting our coastal property and public infrastructure at risk. Residents have expressed concern about flooding on Highway 215, the Avondale Wharf, Cheverie Crossway and Salt Marsh Restoration Trail, Avondale and Belmont Roads, and access to public assets such as schools and fire stations. The Municipality has hired consultants to perform a Coastal Flood Risk Assessment Study to better understand the risk of flooding along the shoreline from Avondale to Cheverie and the potential impact of sea level rise. 1. Attend one of the Community Information Sessions being held on November 24. 2. 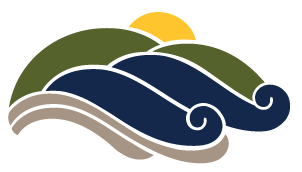 Residents and property owners along the West Hants Minas Shore are invited to fill out a survey here (link: https://www.surveymonkey.com/r/westhantsfloodrisk). The Study findings and recommendations will be presented to the public in the winter of 2019.